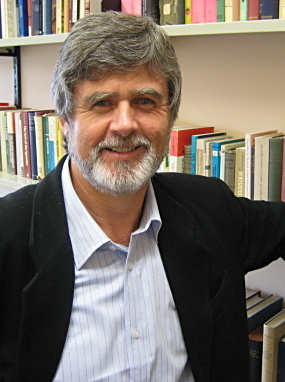 Gregory Dawes is Associate Professor of Philosophy and Religion at University of Otago in New Zealand. We invited him to answer the question “What does philosophy of religion offer to the modern university?” as part of our “Philosophers of Religion on Philosophy of Religion” series. What can philosophy of religion offer to the university? As it stands, I am sorry to say, not a great deal. But it could make an important contribution, if it were broadened and reshaped. The problems facing the discipline have been highlighted by a number of recent scholars, including Wesley Wildman, Kevin Schilbrack, Timothy Knepper, and Nick Trakakis. Following in the footsteps of Schilbrack, I shall highlight two problems: its narrowness and its intellectualism. The narrowness of the field is its most obvious characteristic. What is called philosophy of religion would more accurately be described as a philosophy of Christian theism. Both non-theistic conceptions of divinity and non-classical conceptions of God receive short shrift. Take, for instance, the alternative conceptions of divinity found within the world’s religions. I know of only one textbook (Keith Yandell’s) that takes seriously what it calls “non-monotheistic conceptions of ultimate reality.” Even then, its discussion of alternatives is limited to the conceptions of Brahman found in the Advaita traditions of Hinduism and the conceptions of the self and the world found within Buddhism. It fails to take seriously the many polytheistic or animistic traditions of the world, as well as religious practices such as the veneration of ancestors. It may be that, philosophically speaking, there is little to be said in favour of animism, polytheism, or ancestor worship. But this needs to be demonstrated rather than merely assumed. In any case, there are surely philosophical arguments in favour of modern alternatives to traditional theism, such as the “process theology” of Alfred North Whitehead and Charles Hartshorne. One such alternative, entitled “ultimism,” has been developed recently by John Schellenberg. Once again, however, Schellenberg’s work is an outlier in the field; alternatives to Christian theism are rarely treated as worthy of equal consideration. Practitioners of the discipline often argue that their focus is not merely Christian theism but what they call “classical theism.” This is, they argue, a rational reconstruction of the central beliefs of three religious traditions, namely Judaism, Christianity, and Islam. In practice, however, few philosophers express any interest in religions other than Christianity. They may make the occasional reference to Maimonides or Avicenna, but the scope of their inquiry rarely strays beyond Christian thought. A second problem highlighted by Schilbrack’s work is that the philosophy of religion is “intellectualist,” unjustifiably concerned with the doctrinal dimension of religion. Religions, of course, have many dimensions. Ninian Smart famously identified six more: the mythic or narrative, the experiential or emotional, the ethical or legal, the ritual, the social, and the material. Each of these raises questions of interest to philosophers. A focus on the doctrinal dimension of religion gives rise to a number of problems. The first has to do with whose doctrines are studied. In focusing on “classical theism,” philosophers limit themselves, in effect, to the professed beliefs of a certain educated (Christian) élite. So not only is the philosophy of religion narrowly focused on classical theism, but it neglects many of the beliefs that devotees have actually held. Philosophers assume, for instance, that God is thought to be “without a body.” But Mormons, for example, disagree. They are by no means alone in the history of religions. Epicureans held a similar view. By focusing on professed beliefs, philosophers also neglect those doctrines that are embedded in narratives, enacted in laws, and performed in ritual and song. Many forms of religion, as R. R. Marett remarked, are “not so much thought out as danced out.” But one would never know this from reading philosophy of religion texts. The Eastern Orthodox liturgy, for instance, is richly expressive of beliefs about human beings and their relation to the divine, expressed not just in words but in ritual and architecture. Which philosophers are studying those doctrines? The philosophy of religion is intellectualist in another sense, in that its focus has been on the arguments that can be produced for or against classical theism. But in making this its focus, it tacitly assumes what many religious thinkers deny. It assumes that philosophical reason is an appropriate way to attain knowledge of the divine. Even philosophically minded believers recognize other sources of religious knowledge, such as divine revelation and mystical “knowledge by acquaintance.” But many religious thinkers simply deny that philosophical reason has any role in this domain. Martin Luther described philosophy as “the devil’s greatest whore.” Al-Ghazālī held that the truths vital for the religious life can be known only by revelation. Both Śaṅkara and Rāmānuja insisted that only the scriptures are a public, authoritative source of vidyā (saving knowledge). If the philosophy of religion is to be the philosophy of religion, it must take such views seriously. It could, however, be broadened, to cover the beliefs of a variety of religious traditions and to embrace the other dimensions of religion. If it were broadened in this way, it could be a vibrant field of study, with real contributions to make to other university disciplines. Philosophers could join hands with those engaged in the exploration of Chinese, Hindu, and Buddhist philosophical texts, within religious studies or area studies programs. They could also contribute to the work of those trying to understand religion as a cultural phenomenon: anthropologists, cognitive scientists, and historians. A declaration of interest. I have a short book in press entitled Religion, Philosophy, and Knowledge, which sets out a different way of practising the philosophy of religion. It is only one such alternative and there are surely many others. But I hope it demonstrates what our discipline could contribute, if it were suitably reformed.